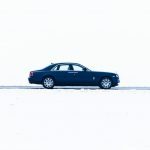 Last year, we were lucky enough to get behind the wheel of Rolls-Royce’s gloriously decadent Phantom Series II, the facelifted version of the model that has spearheaded the revitalisation of Rolls-Royce under BMW. 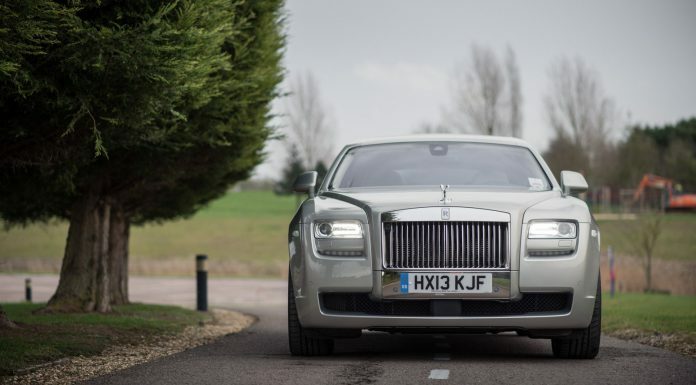 Now, a year on, we’ve managed to get behind the wheel of one of the products of that revitalisation: the Ghost, here in full-fat extended-wheelbase form. 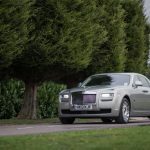 The question is, does it feel like a cheaper version of the real thing, or is the cost saving and extra performance enough to sway you away from the Phantom? We’re about to find out! 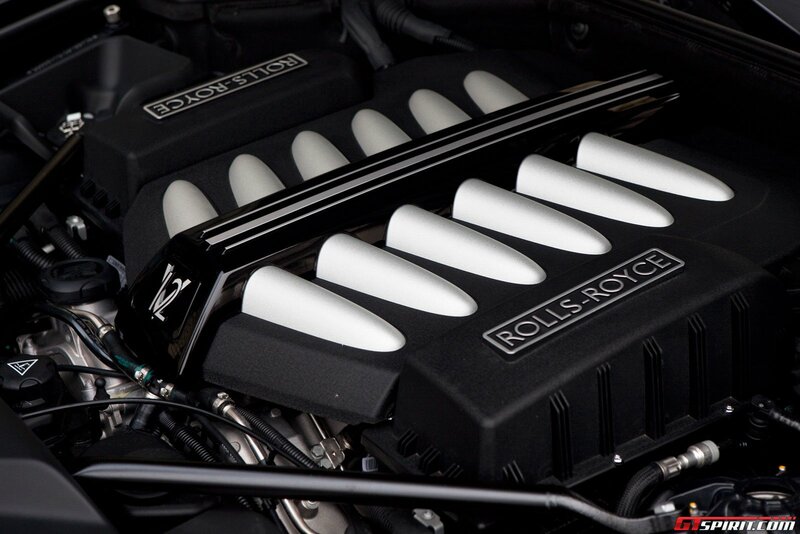 Under the bonnet of the 2014 Rolls-Royce Ghost sits Rolls-Royce’s 6.6-litre twin-turbocharged V12. 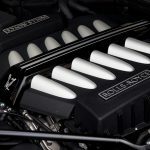 It’s derived from BMW’s N74 engine, which powers the current 7 Series, and it delivers a huge 570PS, not to mention a whopping 780Nm slug of torque. That gives the Ghost a 110PS advantage over the larger, pricier Phantom, which results in it hitting 100km/h almost a second faster, in exactly five seconds dead. Top speed, as you’d expect, is pegged back to 250km/h. Like the Wraith we drove a few months ago, this version of the 8HP uses GPS positioning to work out where you are on the road and find the right gear accordingly, sometimes in anticipation of the road ahead. 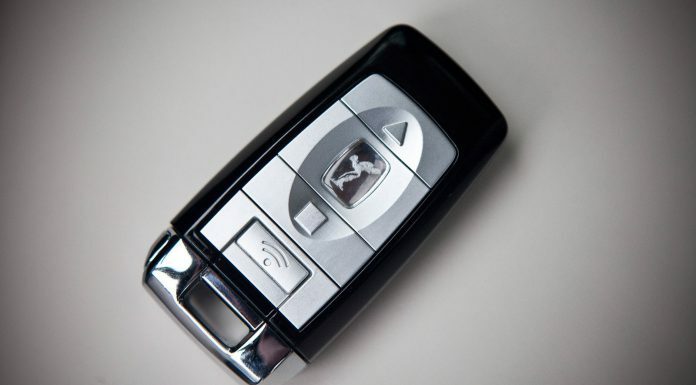 So for example, if the gearbox realises you’re about to hit an incline, it might change down in preparation; or on a winding road, it might hold off on shifting up when it realises you’re approaching a corner. 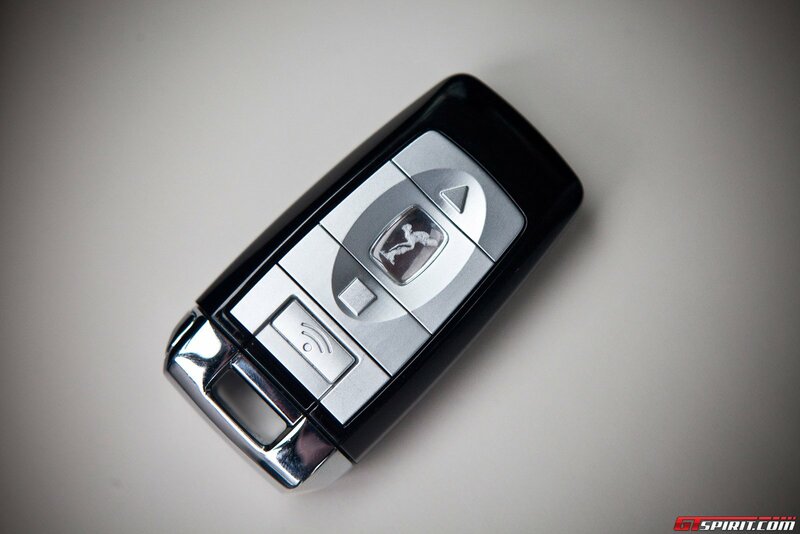 All very clever, and all aimed at making the driving experience as stress-free and as seamless as possible. 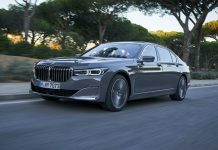 The towering flanks of the Ghost actually sit upon a rather more plebeian foundation, though only just: like the engine, the floorpan can trace its roots back to the BMW 7 Series. Here, of course, it’s been extended by 170mm in order to provide that all-important rear legroom. 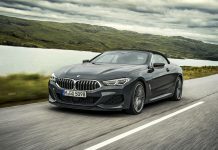 However, suspension is now provided by a four-corner air system, as opposed to the 7 Series’ rear-only setup, which supposedly adjusts itself every 2.5 milliseconds according to the driving conditions. The suspension also offers ‘lift and kneel’ functionality, allowing the whole car to be dropped slightly to aid entry, or raised to cover rough terrain. As you’d expect, the Ghost also comes fitted with a plethora of electronic aids, including dynamic stability control, dynamic traction control and dynamic brake control. And in order to keep body roll in check, active anti-roll bars have been fitted on both axles. 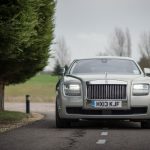 Rolls-Royce would like you to think that the Ghost is the sporting option, and while its design is certainly more rakish than the starchy Phantom, it’s far from a razor-edged supercar. Rather, the Ghost looks to all intents and purposes like a Phantom that’s been under a heater for a couple of minutes – its edges softened off, its roof-line lower and its lines more flowing. If that sounds like it’s doing the Ghost’s aesthetics a disservice, it shouldn’t. 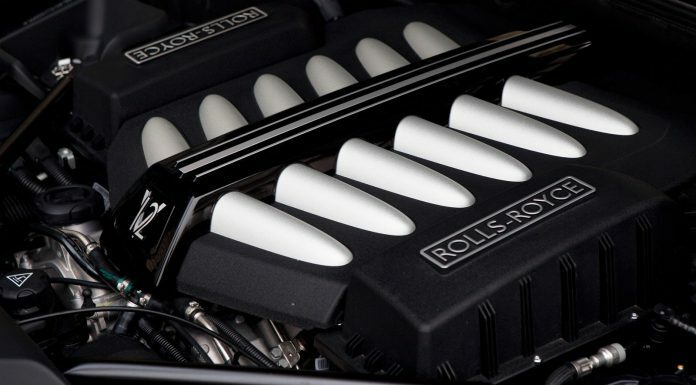 Rolls-Royce’s design team have done an outstanding job here. 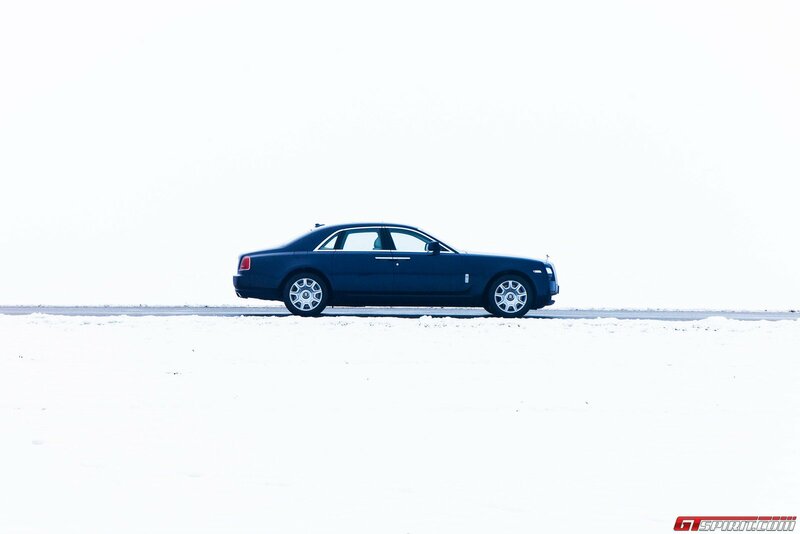 It’s imposing, grand and stylish – every inch a Rolls-Royce, in other words – and yet that softness gives it a more universal appeal than the Phantom. Don’t think of the Ghost as a Rolls Lite; rather, it’s a fine Saint-Emilion to the Phantom’s vintage port. Even more impressive is that the Extended Wheelbase’s alterations are almost impossible to discern unless it’s parked next to a stock Ghost. 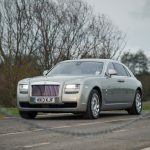 In fact, after a few days, the EWB begins to look like the car the Ghost always should have been, its extra length giving the standard car’s smooth shape added gravitas. With so many long wheelbase versions looking so obviously stretched, that’s quite an achievement. 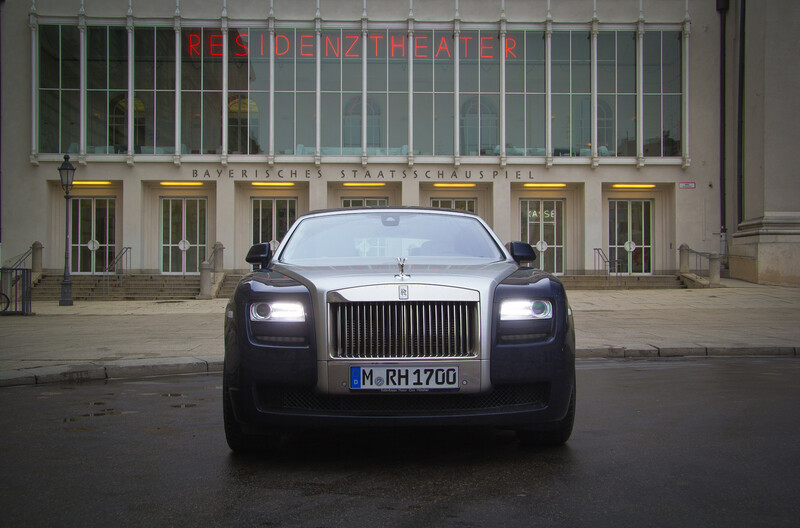 As with any Rolls, inside is where the Ghost appeals most of all. 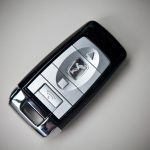 Climb in, and the first thing you notice is your feet sinking into a pillow-soft layer of carpet; the second is that every surface, even the headlining, is covered in leather – and what isn’t is either swathed in wood or chrome. Switchgear is beautifully crafted from translucent plastic that gives the effect of crystal, and a large chunk of wood in the centre of the dash slides away at the touch of the button to reveal the infotainment display. Here, though, is one of the rare areas where the Ghost’s BMW bloodline shows through. 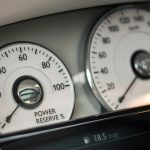 Though the software’s been re-skinned with Rolls-Royce graphics, the basic system is very obviously BMW’s latest iDrive setup. That’s no bad thing; with the exception of some frustrating sat nav lagginess, the system works well and is easy to get to grips with. But if you’ve spent a lot of time in BMWs, this might be one area that feels a little too familiar. That said, it’s commendably the only area that suffers in that regard. 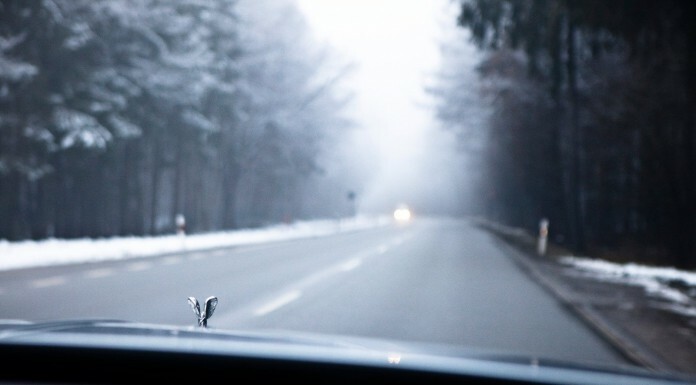 Every other part here feels truly befitting of a Rolls. The steering wheel and column stalks, both spindly and delicate to use, evoke past Rolls models – the company’s resisted the current trend for thicker rims and smaller diameters in favour of retaining that link to its past. 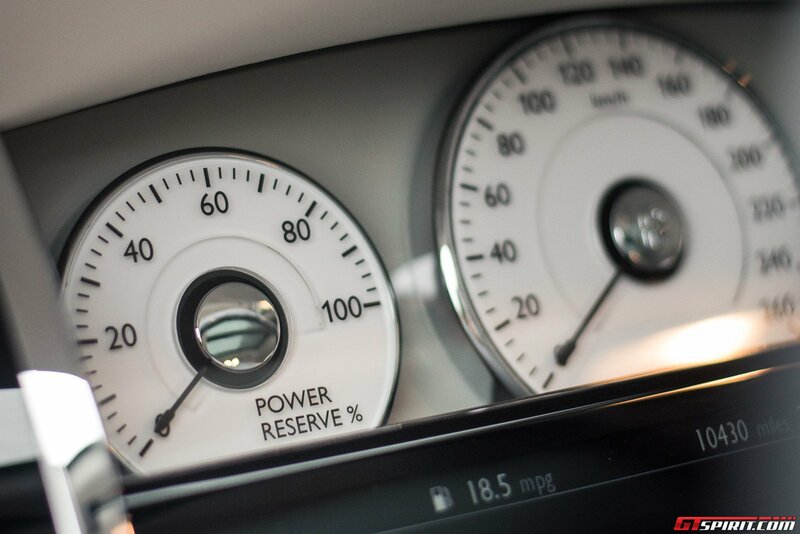 And there are some distinctly satisfying touches elsewhere, too – for instance, the stiff, chunky chrome sliders that activate the air vents, and the trip computer display, which looms through a seemingly opaque piece of black trim. In the back, things only become more lavish. A frankly gratuitous 1,245mm of legroom is available back here, allowing even the tallest of passengers to stretch out in comfort. There are three rear seats, though foldable armrest can turn the bench into two individual armchairs, both individually adjustable and heated electrically. There’s more ankle-deep carpet, and the C-pillars are positioned with the aim of obscuring the passengers’ heads from prying eyes – not that they’d be able to see much through the tinted glass, mind. 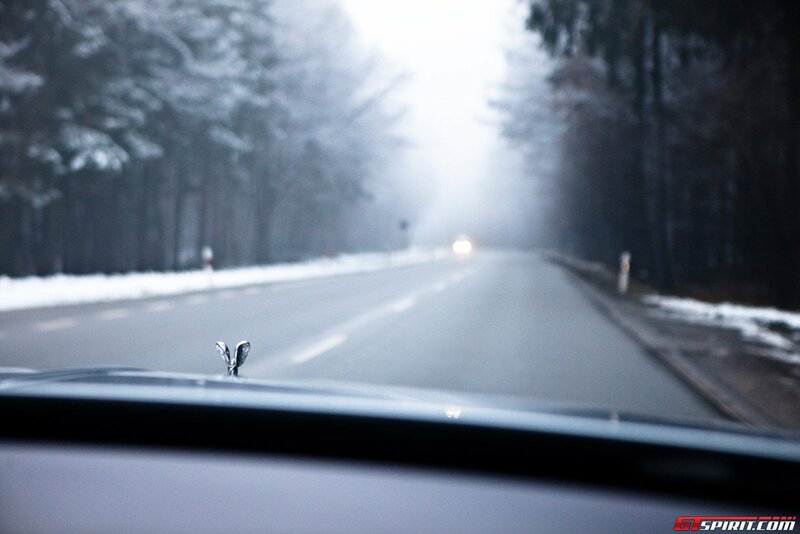 Picture in your mind what you imagine driving a Rolls-Royce to feel like. Is it cosseting? Smooth? Effortless? If so, you’ve pretty much got an idea of the Ghost experience already. The first thing that strikes you when you grasp that thin-rimmed wheel and pull away is the steering. Where many prestige car makers are aiming for quicker racks, more feel and a darting, lively front end, Rolls-Royce is standing its ground. The Ghost doesn’t quite have the same sense of a battleship going about as the Phantom does, but it’s far from sporting. You still need to twirl the wheel further than you’d expect to elicit a reaction, the nose easing around slowly but purposefully when you do. But that’s OK. In fact, it’s all OK, because you don’t want or expect a car like this to feel like a sports car. You want it to feel dignified and deliberate, rather than light and nervy. And that’s exactly what it does. The wheel’s beautifully weighted, too; despite the size and weight of the car, it never feel heavy or sluggish; rather, there’s a silken resistance to the wheel’s action, as though you’re stirring a pot of double cream. Try bowling the Ghost along a twisting road, and it soon becomes even more evident that this isn’t a sports saloon, but rather, a luxury cruiser. Nevertheless, it can deal surprisingly competently with being manhandled along a tight country road. Grip levels are high, and in combination with the driver aids, they mean this heavyweight can actually hit some remarkably high cornering speeds. And while the Ghost rolls (no pun intended), it never wallows. Instead, it seems to have a limit to which it’ll sway, before the active roll bars kick in and hold it there. But as capable as it may be, there’s an underlying sense that the Ghost isn’t really at ease with being hustled along like this. Which, again, is probably just as it should be – such uncouth behaviour is simply below it. This isn’t the Ghost’s natural stomping ground, after all. 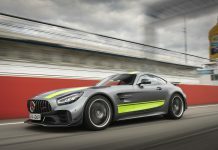 For that, you have to look to fast, open stretches of tarmac, where it can settle into providing you with the smooth, cosseting driving experience it’s so clearly been designed to offer. Rolls-Royce talks of a magic carpet ride, and it’s pretty close, though the occasional thump over a sudden expansion joint denies the Ghost the ultimate seamlessness of the Phantom. The gearbox, too, is impressive. Where it can get a little flustered on a back road, here it fades admirably into the background. 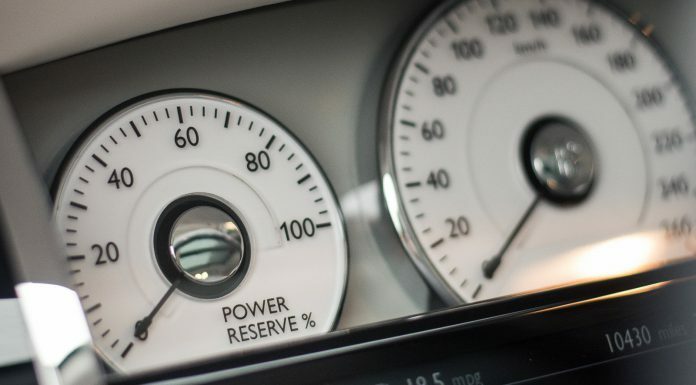 Changes are undetectable; the surge of power when you squeeze the right pedal is unblemished, and the only sign the gearbox is doing anything is perhaps a momentary delay while it chooses the right ratio to serve up, like a butler selecting the correct knife to lay for the fish course. Once it’s done so, though, boy do you know about it. The back end squats, the bonnet rises, and you’re thrust forward on the back of a constant and unending chunk of torque. The way the Ghost shifts for a car of its size is truly astonishing. Even in the comparative isolation of its double-glazed cabin, the sense of power and unstoppability is enough to widen the eyes. Being overtaken by it must be spectacular, like being passed by a small office block travelling at supersonic pace. 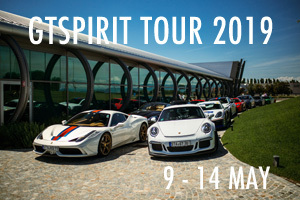 There’s simply no let-up; just an unending, crushing display of superiority that’d worry even a few junior supercars. And yet, there’s no fuss or bother. Just a faint trace of a snarl from the twelve cylinders up front, perhaps a lick of wind noise around the tops of the doors, and before you know it, you’re doing license-losing speeds. 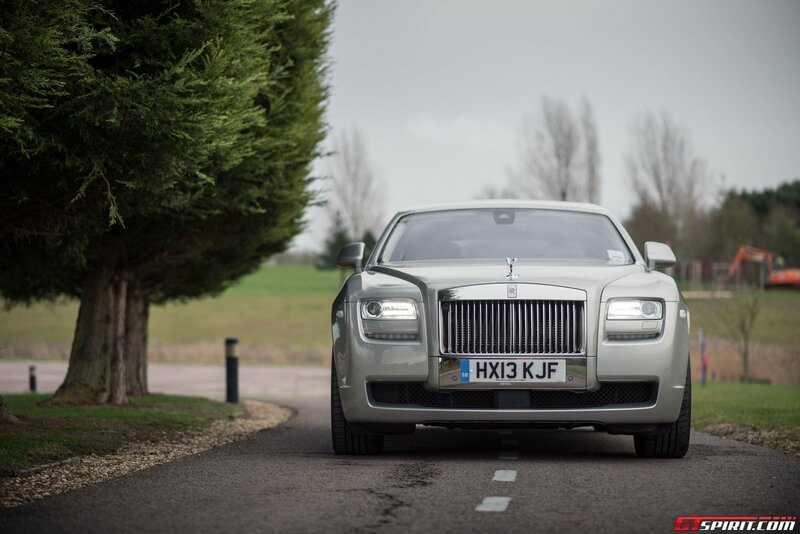 In this environment, bolting along a motorway or along a fast, sweeping A-road, the Ghost is utterly wonderful. 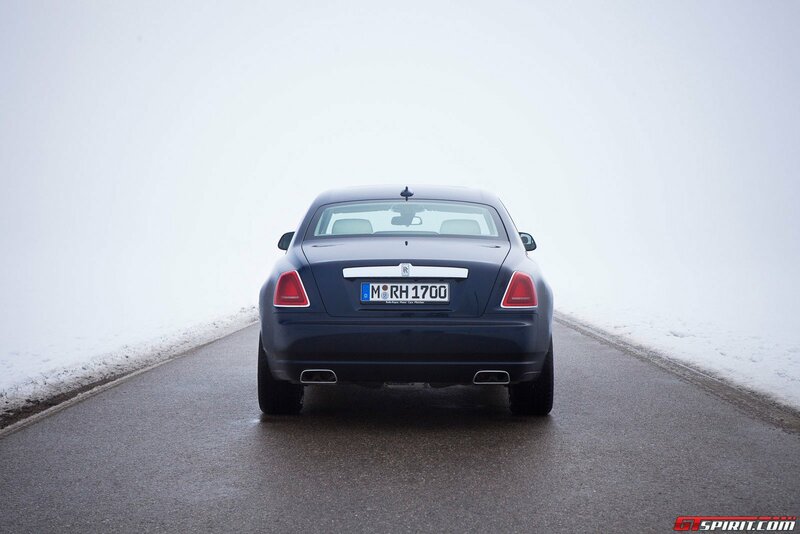 And while it won’t keep the faster, 630PS Wraith honest, at the same time you never feel short of power. There’s little to want for, in fact. 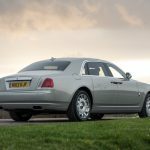 As you might expect, the Ghost comes pretty richly-endowed as standard, but there are a selection of options you an add, and some are worth having. Camera system: Provides side, rear, and top-down views of the car’s surroundings. 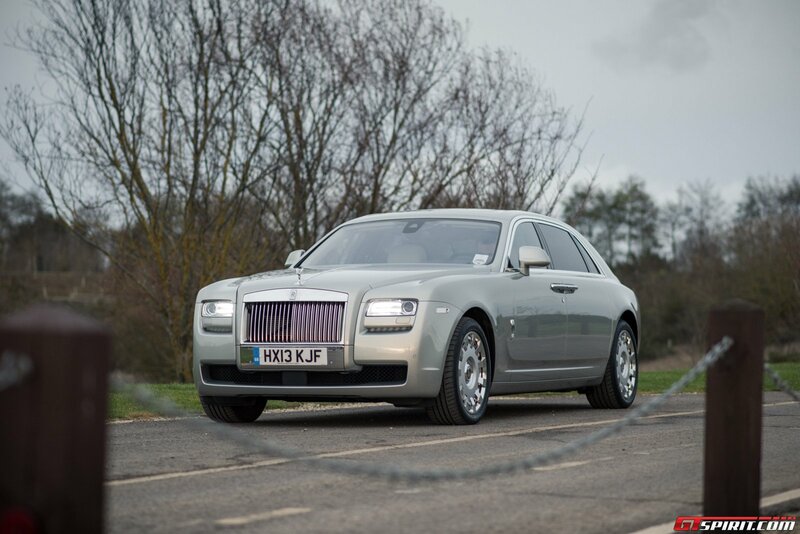 The Thanks to its falling bonnet line and slim rear screen, the Ghost’s farthest corners can be a little difficult to spot from the driver’s seat, so this will help with parking manoeuvres. 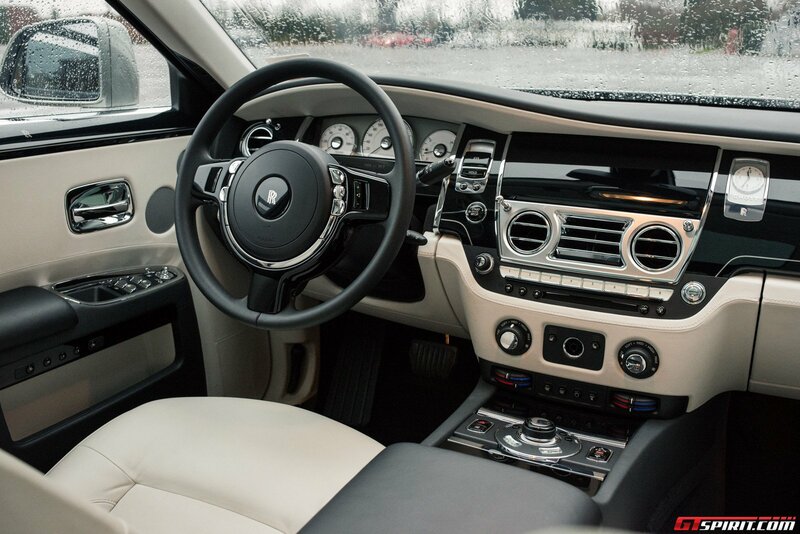 Driver Assistance Systems Three: The most expensive of three packages for driver assistance comes with Active Cruise Control – a must for making long-distance trips in the Ghost as hassle-free as they should be. Rear Theatre Configuration: Features a screen mounted on the rear of each front seat with headphone jacks for each. 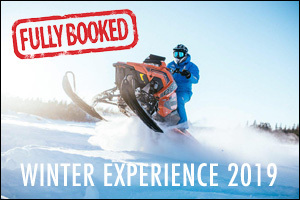 Well, if you’re going to buy the Extended Wheelbase, you obviously want to put someone important in the back – so why not give them something to watch while they’re there? TV Tuner: Available separately to the rear seat theatre, this option adds digital TV capability, meaning there’s always something to watch – even if you don’t happen to have any DVDs on you! 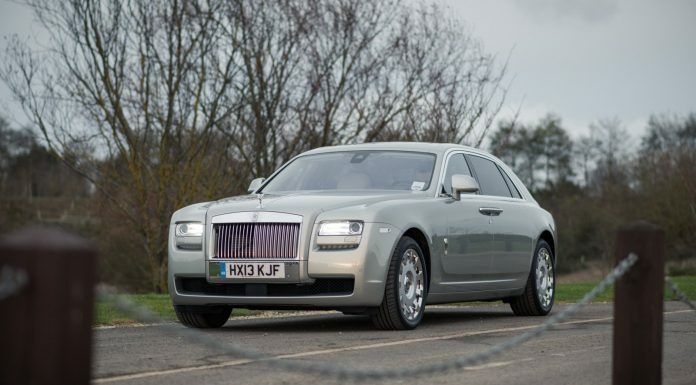 Single-tone Paint: The same two-tone paint that’s available on the Wraith and Phantom is available for the Ghost too. 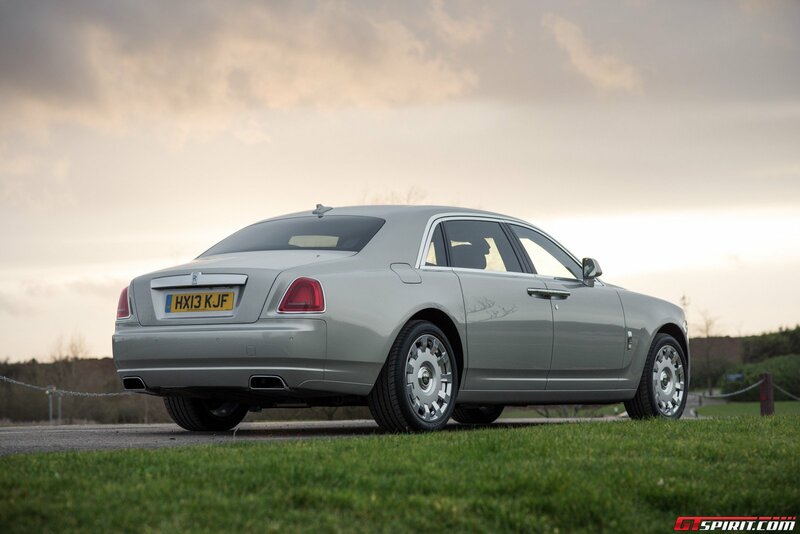 However, we reckon the Ghost Extended Wheelbase looks at its best in a single shade. Choose a dark colour – perhaps a deep red or blue – for a regal look. 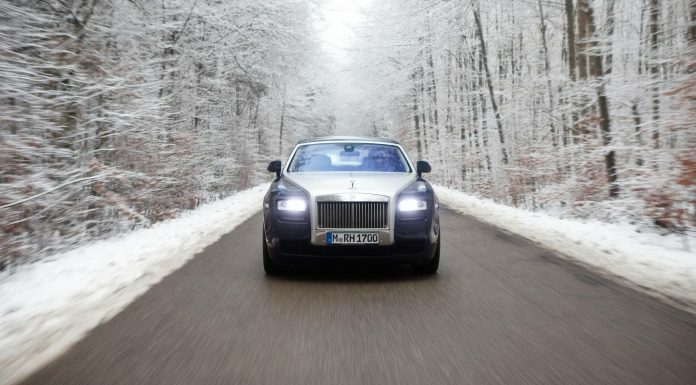 The Bentley Mulsanne is the most obvious rival for the Ghost EWB, coming in at around 12,000 euros cheaper. That said, of course, it’s a standard wheelbase model, meaning you don’t get the extra stretch space in the rear, and the Ghost is actually slightly quicker, with a 58PS power advantage. 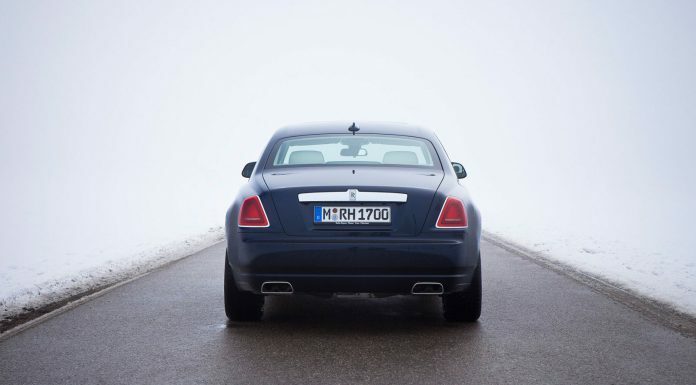 As for everything else – well, it’s probably fair to say that the Mulsanne feels just as opulent as the Ghost, so if you don’t need the extra rear legroom, the performance factor doesn’t concern you, and you prefer the Mulsanne’s looks, you might as well save yourself the extra cash. 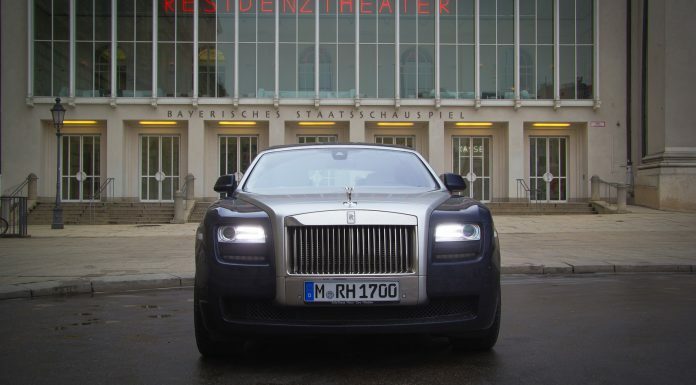 That being said, the most dangerous rival for both the Mulsanne and the Ghost Extended Wheelbase is in fact the short wheel base Ghost. This retails for around 10,000 euros less than the Mulsanne, and provides the same amount of legroom and even more power, making it arguably the best value option of the bunch – relatively speaking, of course. 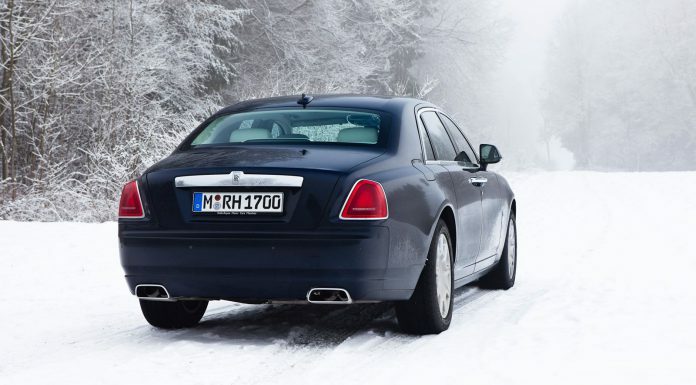 So if you don’t really need the extra space of the Extended Wheelbase, why not just choose the normal Ghost? Unless you have to ferry someone particularly tall around on a regular basis, it’s a hard question to answer. Mention should also be made here of the Mercedes S65 AMG. 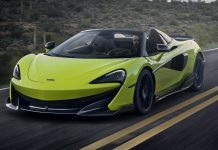 While it hasn’t yet been officially launched, it’s likely to be just as impressive as the Bentley and Rolls in terms of ride quality and driving dynamics, and thanks to a whopping 630PS, it’ll be quicker than either. What’s more, it’s tipped to cost ‘just’ 170,000 euros, or thereabouts, making it the cheapest of the bunch. 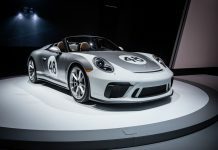 That said, it’ll almost certainly feel less special, sharing its bodyshell with lesser models, unlike the British cars. And as luxurious as its cabin will be, it’s going to be hard-pushed to match the sheer opulence of the Rolls or the Bentley. Does that justify the price gap? We can’t say for certain yet – but so much less cash for a car that delivers so much more performance will be hard to argue with for some. There’s a real air of ‘first world problems’ about any fault one finds with the Ghost and Ghost EWB. The plethora of things it does well is vastly outweighed by the few minor downsides it has. Those flaws can largely be summarised thus. Try driving it like a sports car, and it’ll probably disappoint – which, as we’ve discussed, isn’t necessarily a bad thing. 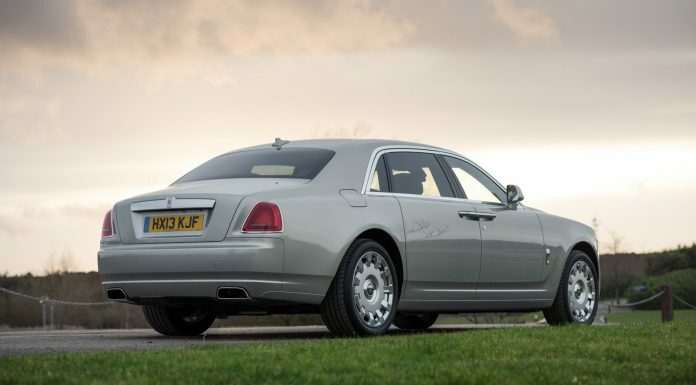 It also lacks the final degree of Rolls-ness you’ll find in a Phantom Series II – though for that, you’d also have to pay considerably more. 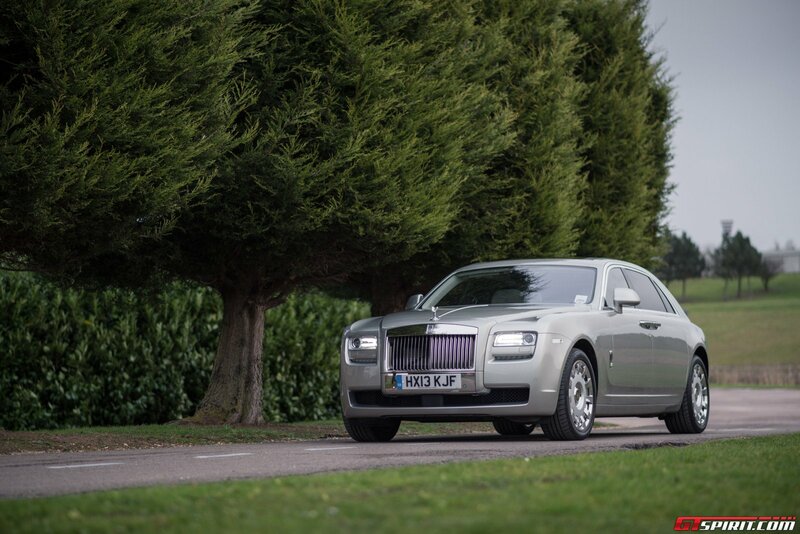 The added modernity of the Ghost’s design, which will give it an appeal to buyers that the Phantom simply can’t match, combined with its considerable power advantage and huge cost saving, are enough for us to conclude that it’s probably the better buy of the two. Bearing those provisos in mind, the Ghost is a truly wonderful thing. Gloriously sumptuous and beautifully appointed, it turns even the most traffic-filled and havoc-ridden journey into one of ease and comfort. 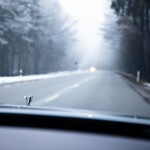 And then when the road clears, there are seemingly boundless reserves of power to explore and exploit. 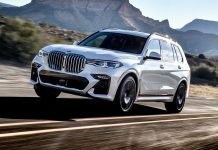 Yes, just occasionally – perhaps when the big tyres thump over a series of ruts in the road, or when you leaf through the iDrive-based entertainment system – the BMW underpinnings show through. But those moments are fleeting, and rest of the car is such a joy to sit in, to behold and to interact with that they’re swiftly forgotten. 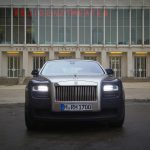 The Ghost surrounds you with all the pomp and circumstance you’d expect from a Rolls-Royce, and adds near-supercar levels of performance. 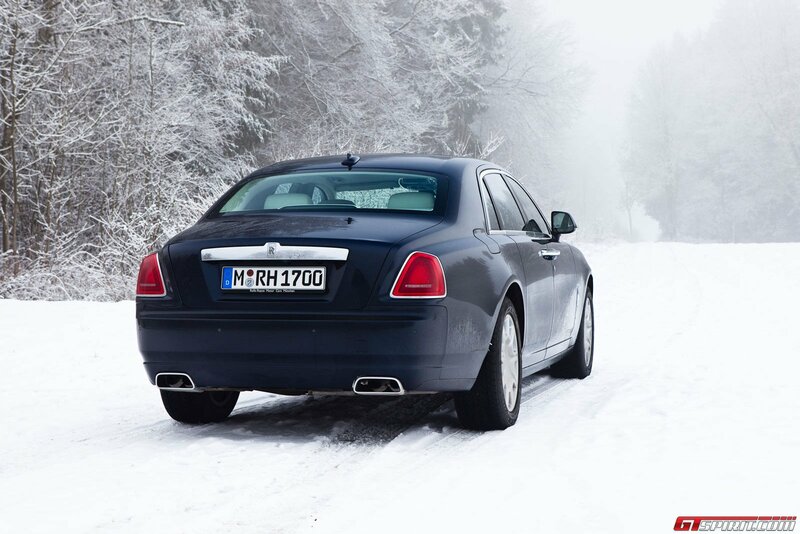 It’s an intoxicating combination, and it makes it the pick of the current Rolls-Royce range. 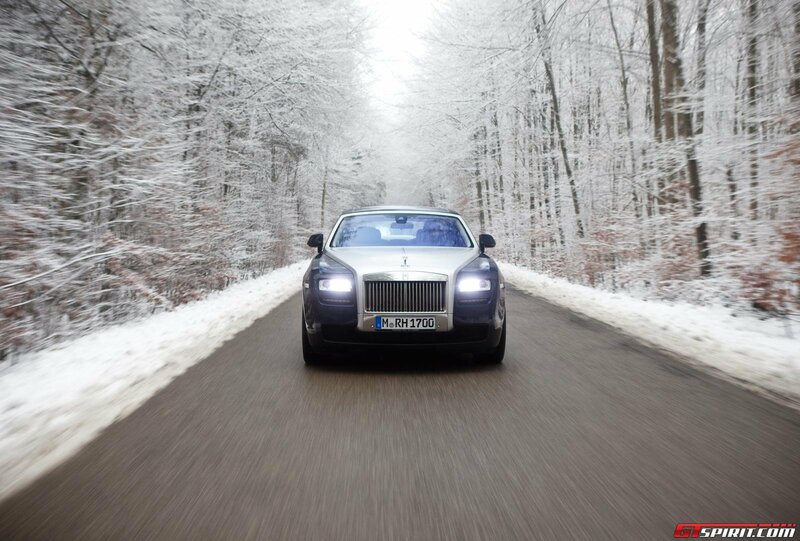 Additional note: The 2015 Rolls-Royce Ghost Series II will celebrate its debut at the 2014 Geneva Motor Show. 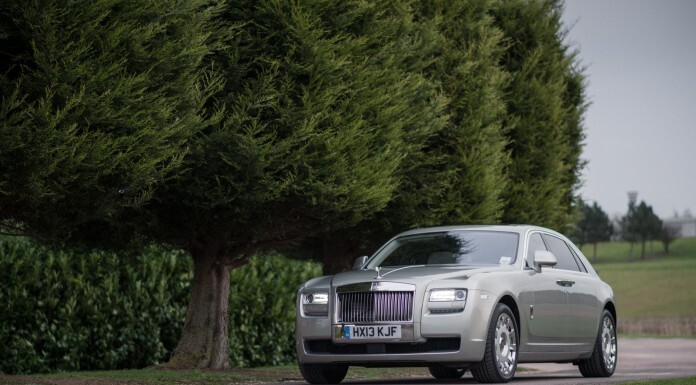 The Series II includes several updates to the Ghost but in good Rolls-Royce tradition visually the appearance will remain very similar to the first generation Rolls-Royce Ghost.